ABRA is an outlier. Moving around with her missionary parents, she was born in New York and raised in South London, before eventually landing in Atlanta. Like her upbringing, ABRA’s music isn’t specific to a place, a time, or a sound. Instead, it’s a blend of influences, informed -- but not defined -- by its surroundings. 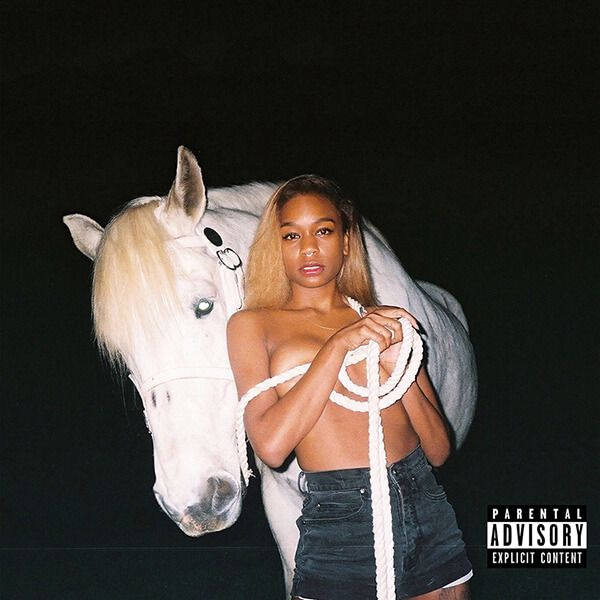 Utilizing different components of Miami Freestyle and electro-funk 808’s topped with her own airy R&B-tinged vocals, ABRA’s voice and sounds are familiar, but uniquely contemporary. Every note on the Princess EP, out July 15th on True Panther Sounds, is written, produced, and performed by ABRA - often in the solitude of her bedroom closet. As an introverted youth, she dug into the internet to find community and inspiration. Then, as now, she found inspiration in unique juxtapositions, as seen in her early acoustic covers of Gucci Mane, Waka Flocka Flame and 2 Chainz that she posted on Youtube. Those videos eventually led her to a new community, Awful Records. The Awful crew -- a collective of friends, artists and collaborators creating their own hypercolor, DIY version of Atlanta’s burgeoning weirdo-rap movement -- embraced her fully. Even within the rap-oriented Awful crew she is an iconoclast: for her own productions, she avoids the conventional sounds of Atlanta trap in favor of drums and synthesizers reminiscent of 1980's pop. While still featuring on various Awful Records artists’ music, her own music and image is sacrosanct. She conceives her own videos and acts as art director for all packaging and photo shoots. Princess is a portal into her self-contained universe and it shines with a profound confidence. After a year spent alternating between the mania of worldwide touring and self-imposed recording isolation, Princess is a bold new step for an artist who is growing more accomplished day by day. Never compromising on her vision or artistic process, she has molded her surroundings into her strict aesthetic and vision. No longer a lone outlier, she is a leader and lightning rod for a world of fellow outsiders. ABRA is a true PRINCESS in a monarchy of her own creation.